Photo © Anne Van Aerschot. Interprètes / Dancers Jason Respilieux, Thomas Vantuycom, Bilal El Had, José Paulo dos Santos. Photo © Anne Van Aerschot. Interprète / Dancer Thomas Vantuycom. 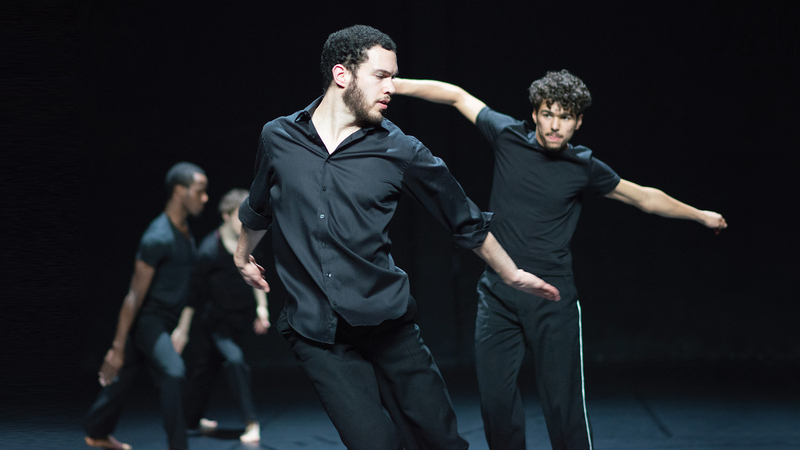 Above all, Anne Teresa De Keersmaeker uses musicality to support her choreographic art. In tackling A Love Supreme, jazz giant John Coltrane’s iconic album infused with spirituality and rhythm, the Belgian choreographer invited P.A.R.T.S. alumnus Salva Sanchis to join her in the adventure. 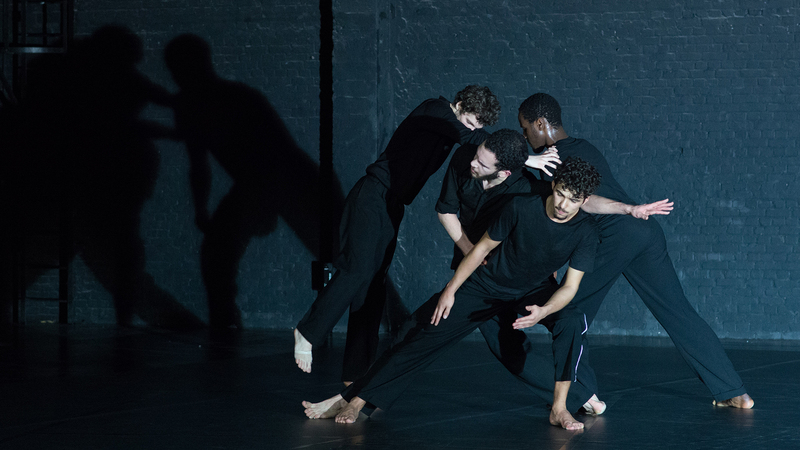 As they reworked their piece into a quartet for male dancers, De Keersmaeker and Sanchis imagined a canonic movement language, three-person lifts, polished solos; hands, flattened as if resting on air, tracing curves and angles. Mirroring the vitality of Coltrane’s music, A Love Supreme delivers exuberantly free dance that blends improvisation and formal composition into a seamless whole. Winner of the French dance press’s 2017 Prix de la critique (critics’ choice award) for Best Performers, A Love Supreme delivers a dynamic paletteof sensations. 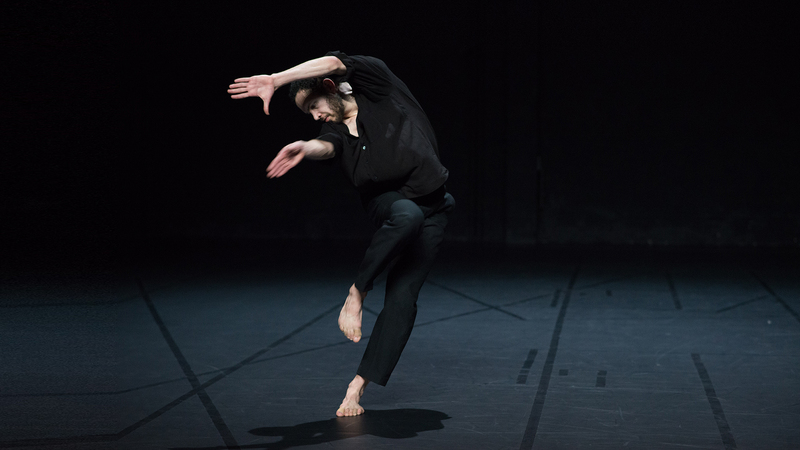 Choreography Salva Sanchis, Anne Teresa De Keersmaeker. Danced by José Paulo dos Santos, Bilal El Had, Jason Respilieux, Thomas Vantuycom, Robin Haghi (tbc). Original version created in 2005 with Cynthia Loemij, Moya Michael, Salva Sanchis, Igor Shyshko. Music A Love Supreme, John Coltrane. Recording tenor saxophone, vocals: John Coltrane, piano: McCoy Tyner, bass: Jimmy Garrison, drums: Elvin Jones. Acknowledgement, Resolution, Pursuance & Psalm © Coltrane, J., © Jowcol Music, Inc. (Universal Music Publ. N.V.). Revised lighting design Anne Teresa De Keersmaeker, Luc Schaltin. Rehearsal director Salva Sanchis, Cynthia Loemij, Bryana Fritz. Artistic coordination and planning Anne Van Aerschot. Technicians Joris de Bolle, Wannes De Rydt, Michael Smets, Bert Veris. Coproduction De Munt/La Monnaie (Brussels). Special thanks to Erik Bogaerts, Jeroen Van Herzeele. World premiere 23.02.2017, Kaaitheater (Brussels). Rosas is supported by the Flemish Community.